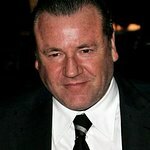 Beowulf star Ray Winstone has been made Patron of Talk... Don't Walk, a charity that targets runaway children in Britain. The 51-year-old actor, whose other films include The Lion, The Witch, And The Wardrobe and the soon-to-be-released Indiana Jones and the Kingdom of the Crystal Skull, accepted the position after being approached by the charity in February. Talk… Don’t Walk works with young runaways and their families to find ways to solve their problems and the risk of repeat behavior. And with over 100,000 young people in England running away every year, the organization needs all the help it can get.